Whitefish, Montana lies within the Crown of the Continent ecosystem that connects Banff National Park in Canada to Glacier National Park and the Bob Marshall Wilderness in the United States. Comprised of over 28 million total acres, the Crown of the Continent is the largest intact ecosystem in the contiguous United States. The community of Whitefish buffers the populous Flathead Valley from millions of acres of State Forest, National Forest, and National Park lands the north. Harmonizing local human populations with these wild landscapes remains a top, community-driven priority to ensure the continued vitality of local wildlife populations, water quality, and healthy forests. 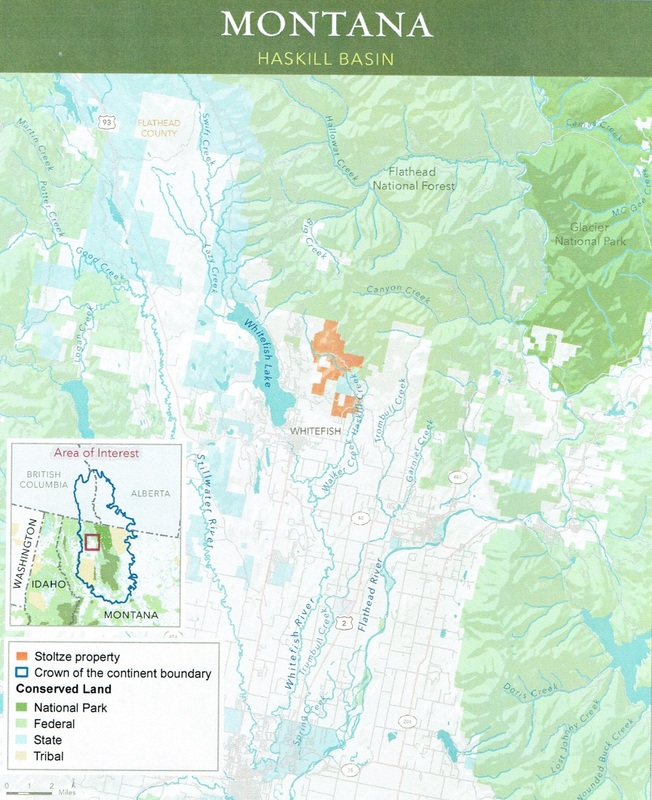 Private landowners play a critical role in the overall health of the ecosystem because these parcels can fragment and alter wildlife migration corridors, watersheds, and habitats. Securing conservation easements on private holdings has proven successful in connecting critical lands to already protected public lands. In addition, managed, front-country recreation has proven a successful method to decrease pressure on critical wildlife habitat in the backcountry. The Whitefish Trail not only provides outstanding recreation opportunities close to Whitefish, it also connects vital corridors on private land to larger swaths of public land. To date, Whitefish Legacy Partners has partnered to permanently protect 4,500 acres of land in Beaver Lakes and Haskill Basin. These conservation easements support sustainable timber industry jobs, protect the land from parceling and development, and maintain the vibrant outdoor tourism economy of Glacier Country. 3,022 acres of private land were permanently protected through the purchase of a conservation easement from F.H. Stoltze Land and Lumber Company in February of 2016. In partnership with the City of Whitefish and Stoltze, a permanent trail easement was secured on the west side of the parcel. The Eastern Gateway to the Whitefish Trail, completed in fall of 2017, connects the City of Whitefish to Whitefish Mountain Resort and Flathead National Forest through Haskill Basin. In total, four permanent trail easements on private land comprise Phase I. Crews broke ground in May of 2017 and the project was completed in the fall of 2017. Montana DNRC owns a continuous corridor of land (shaded blue) connecting the Beaver Lakes area, across the Whitefish Lake Watershed to Flathead National Forest and the Upper Whitefish Range. 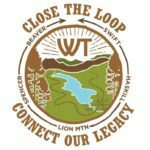 In early spring of 2017, WLP and the City of Whitefish submitted a proposal to the DNRC to purchase a permanent easement connecting the Whitefish Trail from the North Beaver Connection to the Swift Creek Trailhead. Environmental Analysis and public scoping will take place in 2017 & 2018. This phase also includes 480 acres of permanent conservation surrounding Smith Lake. 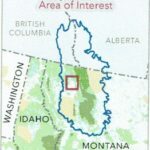 Connecting Haskill Basin to Swift Creek will provide a mid-slope corridor through private land, Flathead National Forest, and Montana State Forest . The Western MT DNRC-owned connections and the Flathead National Forest corridor will be scoped in 2017 & 2018. Determining a route through various private parcels and securing easement/acquisition options will take place in 2019. The Lupfer connection is the final piece of the Whitefish Trail project. Connecting community forests and our legacy lands remains a top priority for the local community, and securing a corridor through these landscapes will prove invaluable for both human populations and the local ecosystem. Trails at Spencer Mountain are currently under a 10-year license with the DNRC, and our long-term vision is to place the area into permanent conservation.